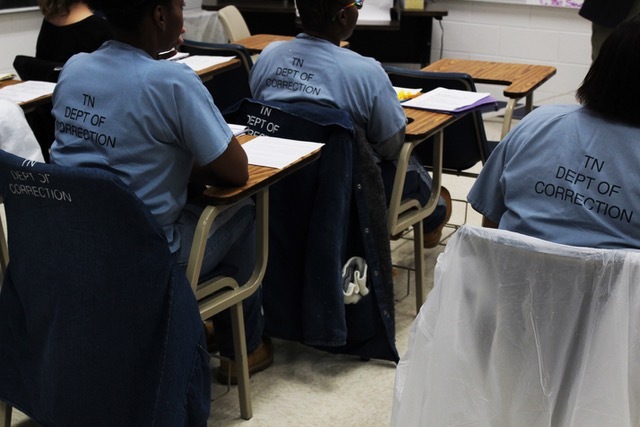 The white concrete rooms of the Tennessee Prison for Women are a stark contrast from the typical Lipscomb classroom. However, students and faculty have transformed the space into an environment where knowledge and personal growth thrives. 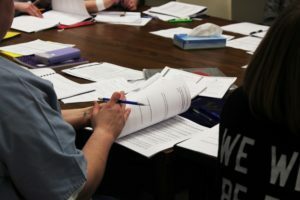 Classes taken in the LIFE Program originate from the on-campus curriculum and are filled with both residents of the prison (“Inside Students”) and traditional Lipscomb students (“Outside Students”). In an introduction to communications class, students take turns standing in front of their peers to share speeches on their favorite foods. “We’re all going to Bonefish, and since it’s a research project, President Lowry is going to pick up the tab,” joked one student at the end of her speech about her love of seafood. She received critiques and compliments from both her peers and her professor, Mr. Alan Griggs. The atmosphere in this classroom is indistinguishable from any introduction to communications course taken on campus. In the master’s level course Ministry Personhood and Discipleship, students sat at desks arranged in a semicircle. Discussions over how society functions flowed through the room. 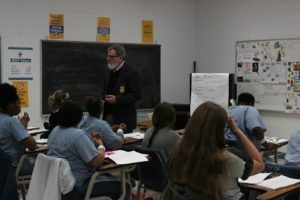 “A little bit of change will have a multiplying effect in the system,” Dr. Steve Bonner told the class. The statement is reminiscent of the change the LIFE Program has had on its students. “I can be a member of a community here,” said Amelia Stem, an organizational leadership major with aspirations of going into customer service. She is a first-generation college student. 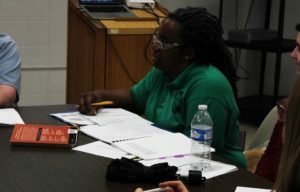 Stem’s experiences in the LIFE program echo that of her classmate Jenica Gant, who also said she was able to find a sense of community through the program. Gant is a Nashville native who noted she was initially surprised to hear that Lipscomb was offering a program within the Tennessee Prison for Women. Today, she is studying theology, and she said she has a dream of one day becoming ordained. The LIFE Program’s impact on Gant’s life expands beyond the walls of the prison. She spoke about how her son has become inspired to thrive in school after seeing her get her education. “I tell him all the time that I am proud of him,” Gant said. Both Lipscomb and the Tennessee Prison for Women are optimistic for the future of the LIFE Program. Faculty said they are hopeful for both an increase in the number of programs offered and the ability to grow the member of LIFE participants.